Born: 16 October 1872, Berlin, Germany. Died: 15 November 1925, Berlin, Germany. F.R. Rudolf Schlechter, German botanist, was the son of Hugo Schlechter, a lithographer in Berlin, and an older brother of Max Schlechter*. Rudolf was educated at the Friedrich Wilhelm Gymnasium in Berlin and was good at drawing, interested in nature and keen to travel. After working for some time as an assistant gardener in the Botanic Garden of the University of Berlin he set out for the Cape Colony in November 1891, aged just 19. He was employed briefly in the Department of Agriculture as an inspector of vineyards (for phylloxera) and then as a gardener by H.M. Arderne* in Cape Town. From January 1892 he began doing part-time work for H. Bolus* in the latter's private herbarium and library and must have learned quite a bit about the local flora from his employer. Meanwhile he had begun collecting plants in December 1891 and met H.W.R. Marloth* and P. MacOwan*. In October 1892 he set out on a journey to the Eastern Cape, collecting plants at various places between Swellendam and Grahamstown until May 1893. He then presumably travelled by sea from Port Elizabeth to Durban, where he met J.M. Wood*. After collecting in the vicinity of Durban until September 1893 he travelled on to the South African Republic (Transvaal), first to Pretoria, then eastwards to Lydenburg and back in the company of the naturalist Theodor K�ssner*, and finally to the present Limpopo province. He was back in Pretoria in April 1894, from where he returned to Cape Town (probably by train). In August 1894 he set out again, first to Clanwilliam and back, then eastwards to Port Elizabeth in the company of Dr Arnold Penther* and on through the Transkei to Natal, reaching Van Reenen's Pass in March 1895. The next month he left for Europe from Durban. His botanical collection of some 7000 specimens was acquired by H. Schinz* for the herbarium of the Zurich Botanic Garden. Schlechter was back at the Cape by January 1896 and started collecting plants on behalf of the Botanical Museum of Berlin-Dahlem, Germany. Some of his collecting trips in the western Cape during the next few months were made in the company of MacOwan, who described him as "a young and enthusiastic botanist, who is at present carrying on a systematic botanical exploration of the Cape in much the same exhaustive manner as was done by Ecklon*, Zeyher* and J.F. Drege* some seventy years ago" (MacOwan, 1896, p. 10). In May 1896 Rudolf was joined by his brother Max, with whom he travelled north to the Vanrhynsdorp district, returning to Cape Town in September. Between November 1896 and April 1897 they collected northwards to the Cedarberg and eastwards to Cape Agulhas. In August 1897 the two brothers, accompanied by the pharmacist Ludwig Mally*, set out for Namaqualand and reached the Orange River at Ramansdrift. In addition to plants Rudolf collected a number of scorpions, including a new species, which he donated to the South African Museum. He returned to Cape Town by sea from Port Nolloth, leaving Max behind. In November Rudolf travelled to Mozambique where spent several months making valuable collections, travelling inland from present Maputo to Komatipoort and northwards to Inhambane. After proceeding to Beira by boat he travelled inland to the Zimbabwe border at Mutare in April 1898. By this time his health had deteriorated and he returned to Europe suffering from fever and dysentery. After his return to Berlin Schlechter was employed by the Deutsche Kolonialgesellschaft to investigate rubber-producing plants in the German colonies. For this purpose he visited Camaroon during 1899-1900 and again in 1905, and travelled to New Guinea and the south Pacific Ocean during 1900-1903 and 1906-1910. Soon thereafter he married Alexandra Sobenikoff, daughter of a Russian tea merchant, with whom he had two daughters. Meanwhile he had been studying botany in Berlin and in 1904 was awarded the doctoral degree for a thesis on the flora of New Caledonia, an island group in the Pacific Ocean east of Australia. In February 1913 he was appointed to the staff of the Berlin-Dahlem Botanical Museum, becoming its curator in 1921. Later he was appointed also as professor of botany at the University of Berlin. Schlechter was interested primarily in the families Orchidaceae and Asclepiadaceae and described many new species. From 1893 onwards he produced over 300 publications. Perhaps his most important work was his outstanding handbook Die Orchideen... (The orchids, Berlin 1914-1915, 836p; 3rd edition 1975-1985). Publications relating to southern Africa include his papers "Beitr�ge zur Kenntnis der Orchedaceen und Asclepiadaceen S�d-Afrikas" (Contribution to the knowledge of South African Orchidaceae and Asclepiadaceae, 1893), "On the genus Acrolophia" (with H. Bolus, 1894), "Aufzaehlung der...durch Natal und Transvaal gesammelten Orchideen" (Enumeration of the orchids collected in Natal and Transvaal, 1895); "Revision of extra-tropical South African Asclepiadaceae" (with an introduction on their geographical distribution, 1896-1898); "Beitr�ge zur Kenntniss der flora von Natal" (Contribution to the knowledge of the flora of Natal, describing new species collected by A.G.H. Rudatis*, 1905); "Contribution to South African Orchideology" (Annals of the Transvaal Museum, 1924); and many more. Dr S. Schonland*, director of the Albany Museum in Grahamstown, who received plants from Rudolf, described him as "the most acute and most successful botanical collector who has ever visited South Africa" (Schonland, 1897, p. 5). It has been claimed that Schlechter covered more of South Africa than any plant collector before him. He also collected fungi, including several new species. As he collected many duplicates, his plants are housed in several herbaria, including those of the university of Z�rich; the Botanical Museum, Berlin-Dalheim; Kew Gardens, England; the Bolus Herbarium, University of Cape Town; the Albany Museum, Grahamstown; the National Herbarium, Pretoria; and the Compton Herbarium, Cape Town. 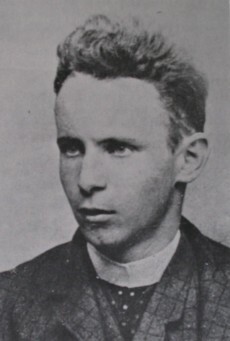 Rudolf Schlechter was commemorated in the genera Schlechteria (by Bolus), Schlechterina and Schlechterosciadium, as well as in many species names. Doidge, E.M. South African fungi and lichens to the end of 1945. Bothalia, 1950, Vol. 5, pp. 1-1094 (see p. 37). Jessop, J.P. Itinerary of Rudolf Schlechter's collecting trips in southern Africa. Journal of South African Botany, 1964, Vol. 30, pp. 129-146. MacOwan, P. Report of the Government Botanist and Curator of the Cape Government Herbarium, 1896, 1897. Schonland, S. Report of the Committee of the Albany Museum, 1897, 1898, 1899.